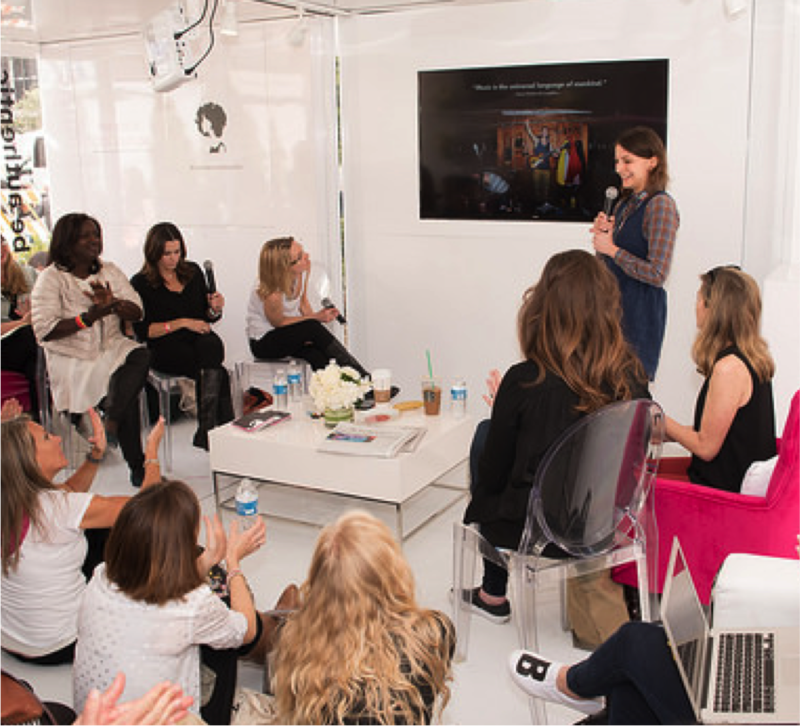 At SXSW, where apps such as Meerkat sparked industry buzz, The Ipsos Girls' Lounge brought female founders together to help guide new tech startups. With only seven percent of women currently receiving startup funds, we dug into the bias that may be holding female entrepreneurs back and shared insight to help them win the pitch. And let's be clear this is not just a social issue -- it's a mounting economic issue. As Robin Hauser Reynolds shared in her documentary CODE: Debugging the Gender Gap, "By 2020, there will be 1.4 million computer science jobs available in the U.S., and only 400,000 computer scientists to fill them. If we're only drawing from half the population, we're going to stall out." I've always touted the personal touch that women bring to technology. It was a woman who designed Apple's first Mac icons, making technology more user-friendly and inviting, and today Susan Kare's icon for the command key is still found on Apple keyboards. In The Girls' Lounge @ CES, we were honored to have high school girls creating prosthetics for children who had lost a limb, and witnessed the unbelievable, nurturing touch females provide that bring a product to life. That's why we've added Arts to STEM, and are actively promoting STEAM (Science, Technology, Engineering, ARTS and Math) as a skill set for student pioneers. 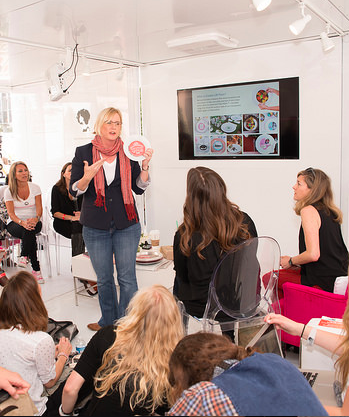 While we inspire the next generation, we want female entrepreneurs to close more deals now. Our group openly discussed the unconscious bias that exists, and is slowly beginning to dissipate as more women fund other women. Then we dove down into the fundamentals of the pitch, because you never know when an opportunity may arise -- in an elevator, at a cocktail party or at a soccer game -- to share your vision. 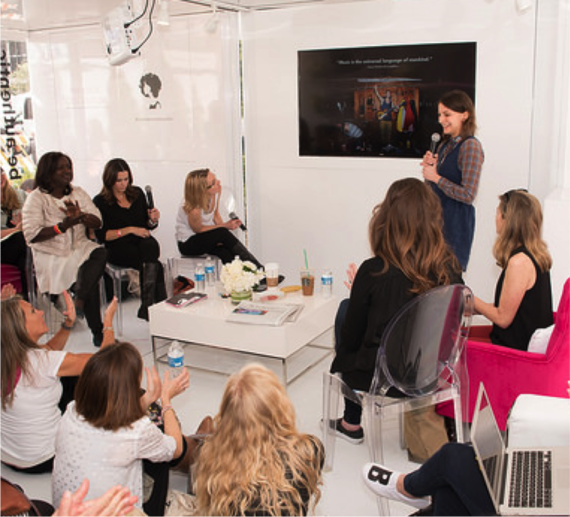 We invited six women to present their elevator pitch to our circle of female VCs to judge what was hit and miss, and provide feedback on how they could unlock the magic to get their businesses funded. 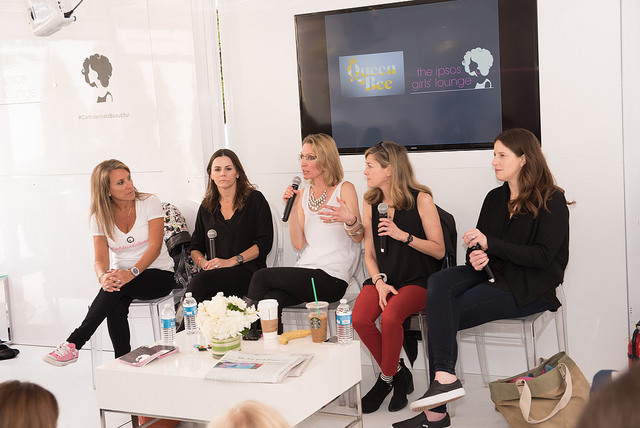 The judges included Heidi Lehmann and Marci Weisler, founders of SWSIMedia (Smart Women, Smart Ideas), a multi-screen video network featuring female entrepreneurs, Kara Nortman, Partner at Upfront Ventures, a VC firm in LA and Robyn Ward, who heads up UTA's strategic investment fund. From custom Plate-ables™ to an app that streamed sports highlights from high school sidelines to a content platform for women over 50, the ideas were wide-ranging - but all had a tech component and all needed funding. For a first pitch, it was agreed -- no deck, no PowerPoint Presentation -- just you and your story. If you do have slides, have strong visual images and few words on the screen. You want the VCs to focus on you and not be distracted by the elaborate presentation going on behind you. In sixty seconds, you need to share who you are, what you do and whom you do it for. Think of your pitch as a Power Punch and make it tight by leading with the strongest points. Don't get it all out -- choose the 20 percent that's the most important. Robyn Ward shared what most investors are thinking from the onset: "What precisely do you do and who do you do it for? Why should I care (how big is the market)? Why will you win (team and other advantages)?" • Hook with your story. Natasha Gilberty, described her vocal matchmaking App, Jammr, as "Tinder for musicians," offering a solution for 62 million musicians who are frustrated with Craig's List and hanging out in bars trying to find like-minded talent. • Namedrop. If you have existing advertisers and partners, mention them, especially if they're trusted brands like Lancome, Neiman Marcus or Fidelity Investments. • Make yourself memorable. VCs are investing in people. Brenda Coffee, Founder of 1010 Park Place -- Where Style is Ageless, referred to herself as "Ramberella -- part Rambo, part Cinderella." • Share initial funding. Whether from personal savings, investments from family and friends or a bank loan. State how much of the company you own and if you have partners. • State what makes your product/idea unique. What are you doing that no one else is? Do you have a unique advantage on the acquisition front? • Lay out the investment strategy. For example, "We're looking for funding to build our first prototype," or "to build an ecommerce site." • Be credible. Share who you know and the influencers who will help grow your brand. Have a strong advisory board and be able to share a powerful nugget such as, "I have one of the pioneers in photo marketing development on my team." • Find one metric that's as powerful as possible. You don't have to throw out stats -- all you need is one extremely relevant data-backed point. For your first pitch, keep it tight and polished. Nervous rambling always makes someone seem less confident. Don't share every minute detail of your business plan, you want to excite, not exhaust your potential investors. BUT, be prepared for all types of follow up questions. If your VCs bite, you'll have more than a few minutes to sell yourself, and "Ums" and "Ahs" don't close the deal. Be aware of your confidence signature. If your body language is fidgety and you rarely make eye contact, you will lose your potential investors a few seconds after hello. The best way to ace your presentation skills is to practice on video and analyze your movements. Is your voice strong, or do you find it cracking under pressure? Practice the pitch, again and again. Know the answers to all of these: Plans for monetization, distribution channels, marketing strategy, competitors, market size, key milestones and financial projections. Have the numbers ready if asked, but don't try to share all information in a slide. Also, don't get too far ahead. "Four year projections are probably wrong and guesses at best," shared Nortman. Ward also advised to be mindful of brand name. Don't limit the product if there may be a larger vision down the road. A product name with "Wino" in it may sound fun and integral to the current offering, but if you expand to food products it won't translate. Finish strong by closing with why you're going to win. Share more than, "I am really passionate about this," because that's a given. An example is, "I'm a first-mover and you should invest in me because there's no one else in the market who is doing what I'm doing." Restate something from your opener that ties it all together for a truly memorable pitch. You will get a YES when you pitch it with confidence.